By the end of 2017, Uganda had made history. Uganda had grown to be among the largest refugee hosting countries in the world with reportedly over 1.4 million refugees seeking safety from within its borders. To date, the vast majority of the arrivals are refugees fleeing conflict in South Sudan, yet substantial numbers of people have arrived from countries such as the Democratic Republic of the Congo (DRC), Burundi, Somalia, Eritrea, and Ethiopia. A recent peak in the number of refugee arrivals was seen in late 2017, when violence in DRC’s north-eastern Ituri province pushed tens of thousands to leave their homes and cross the border to Uganda. The majority of these refugees settled in western Uganda in the Kyaka II and Kyangwali settlements. The unexpected influx of refugees led to the rapid expansion of the population in both settlements, and by March, Kyangwali had grown from an estimated 37,000 to 70,000 inhabitants. Kyaka II in turn saw the arrival of approximately 17,000 refugees increasing the number of refugees residing in the settlement to more than 44,000. With such a sudden and significant influx in arrivals, the need for information on the living conditions of the refugees was clear. In order to address the pressing lack of data on the humanitarian needs of the refugees in the quickly changing environment, REACH conducted a rapid assessment mapping the conditions in both settlements. REACH supported the United Nations Refugee Agency or UNHCR, Uganda’s Office of the Prime Minister and partners working in the settlements by providing an overview of the the needs of the refugees as well as timely information on the ongoing response activities. Data from the Uganda Refugee Response Monitoring from Kyangwali from March 2018. The recent work done in Kyangwali and Kyaka II is an example of the work REACH has been conducting in 21 refugee settlements across Uganda since August 2017. Since last year, REACH has been conducting humanitarian needs gap analyses consisting of information gathered through focus group discussions and key informant interviews with staff from the Office of the Prime Minister as well as humanitarian partners and actors working on refugee response. The aim of the series of gap analysis has been twofold: to identify planned and delivered services as well as to highlight the main gaps and unmet needs in the services provided to the refugees living in the settlements. Focus group discussions across all settlements repeatedly noted that access to healthcare services was among the most pressing challenge faced by the refugees. Refugees reported walking long distances to health centres only to find many of them ill-equipped and lacking in beds, medication and health workers. These difficulties in accessing health services have prevented refugees from receiving proper diagnosis and thus hindered appropriate treatment. Additionally, refugees reported several issues in accessing education, including long distances to schools, a lack of teachers as well as overcrowded classrooms. The assessments also revealed that many did not continue their studies after primary school due to the lack of secondary schools nearby, the lack of funding for school fees, and the lack of vocational institutes or alternative types of trainings to meet the needs and interests of the students. The gap analyses conducted by REACH have supported partners and humanitarian actors in designing their response according to the needs of the refugees. 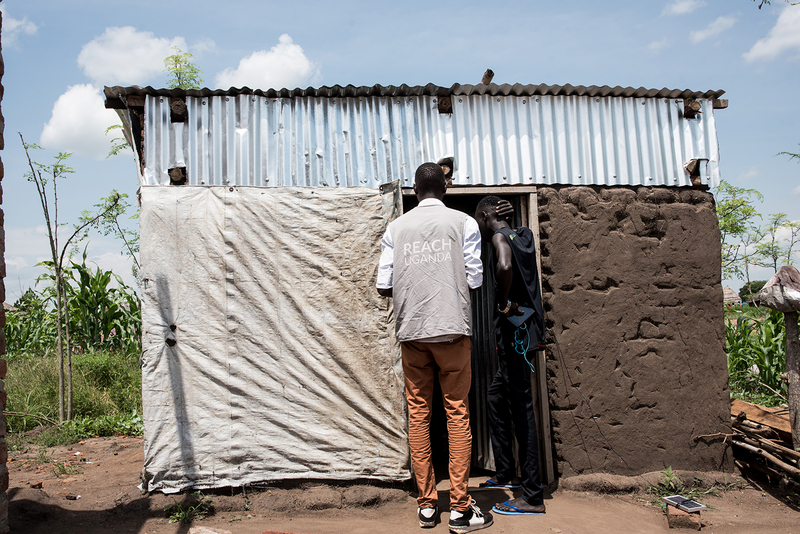 In order to build on the existing information, REACH is currently conducting a second round of assessments and has expanded its reach to cover all 30 refugee settlements in Uganda.